Ever had life all planned out? Knew what you were going to do? Had a schedule, had an agenda, had it all figured out? And something happened that blew all of that out the water? Ever had to take a major detour? Yeah, most of all of us have at some point in our life. That’s part of life. Something that happens all the time. It’s part of our human experience, something that we each go through. We see that they were in Bethlehem, but they they had to flee to Egypt to escape Herrod. We don’t really think about this, the chaos this would have caused to Joseph and Mary. Joseph had a job waiting for him back home. They had a life planned out. They were going to be faithful, they were going to follow God, but they knew what life would be about. And now this. Now they have to run away to Egypt. They were being faithful. They were doing it right. And life still made a detour. Why? Because God had a plan. He was going to call Jesus back out of Ebphy, just as He called the Israelites out of Egypt. God had an amazing plan for Jesus in this. What may have looked like a detour to Joseph and Mary was part of God’s divine plan for Jesus. Today, the detour you face may not be that. It very well may be part of God’s divine plan for you. You just have to trust. God has a plan. He knows what He is doing. Even if we don’t know what He is doing. These detours, they aren’t that. They are something greater, something bigger. 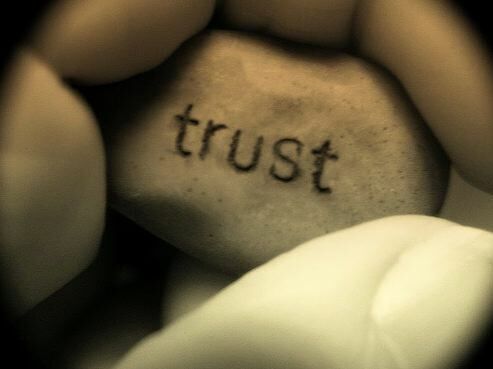 Today, trust. God will use your detours in amazing ways. Ways you can’t even imagine. Today, may we trust in the detours of our life. Ever seem to you like God has no idea what He’s doing? I mean, we know that we should have faith, and we know that we should trust, but sometimes we just wonder, man oh man, God what are you doing? Why are you doing this? Why is this happening? What is the point of all of this? We’ve all been there. We have all (if we are going to be honest) struggled to understand and hope in God’s plan, when we have no idea what in the world He is up to and trying to accomplish. At that moment, it looked like God’s plan wasn’t going to work. From the narrow human perspective, it seems as though Jesus was dying, and it was all over. That was the way that it looked to everyone watching the cross. It looked like God’s plan wasn’t going to work. But all was not what it seems. God had an amazing plan. We know the rest of the story don’t we? We know what the Old Testament told us that this would happen, and we know what was yet to come, the Resurrection. 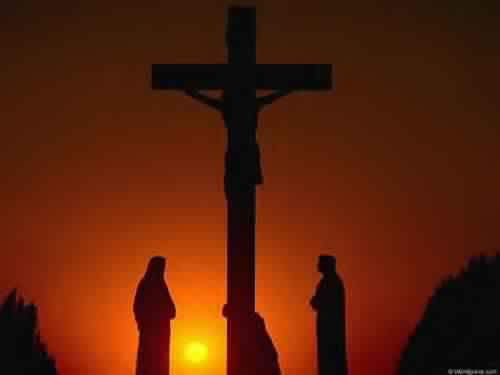 God’s plan was more than the people watching the cross could have ever understand. They didn’t see everything. God did. God does. And He knows what He is doing. So, when it looks like His plan doesn’t make sense, and it doesn’t look like He knows what He is doing; remember. He does. He knows. He knows what He is doing. Trust. Cling to Him. Believe. Have hope. God knows what He is doing. Belive. God has a plan. It is a plan that we can trust; no matter what. God knows what He is doing. There’s a cool house down the road from my house here in Petal that’s got a programmed Christmas light show. 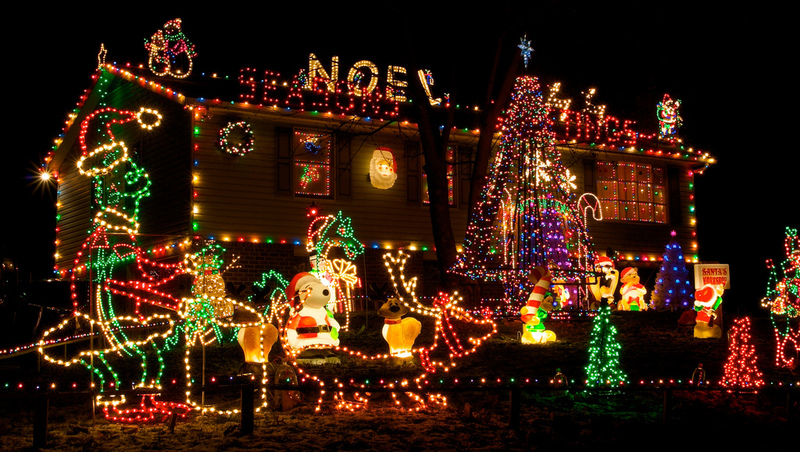 You can pull up to their house, turn your car radio to a certain station, listen to the music, and see the lights flash in rhythm to the songs being played. I’ve always been a sucker for Christmas lights. I remember as young child that was always one of my favorite things to do, to go with the family and look at Christmas lights. Loved it then, love it now. That’s one of the many reasons why I love this time of year. “Behold, God does all these things, twice, three times, with a man, to bring back his soul from the pit, that he may be lighted with the light of life. I talked yesterday about how God has a plan in all this. God knows what He is doing and He has a plan, not just for all our lives, but for creation, redemption, and all the world. I think of that again when I read what it says in Job. God will bring us back from the pit. And they will be lighted with the light of life. Even those those words were spoken to Job, who do I think of when I read that? Jesus. He is the light. He is the light that overcomes the darkness. He is the light of the world. And He is the light of of lives. Think about that during Christmas. Think of that during light shows. Think about during all this time. Light has come. And that light is Jesus. Remember. Remember that. Light has come. And light WILL drive out the darkness. I love the Old Testament. I really do. Right now, I’m reading a great book entitled Jesus on Every Page, which talks about how as Christians, the Old Testament, and the stories of the Old Testament, they are ours. They belong to us as well, and they paint a picture of God’s long term plan of redemption for His people. Jesus will sit on the throne of His father David. He is from the tribe of Judah, the ancestor of David. God promised David, way back in the Old Testament, that He would establish David’s kingdom, and it would last forever. That it would be an eternal kingdom. Well, He wasn’t talking about an earthly kingdom, but a heavenly. That was God’s plan, from the beginning. God knows what He is doing. Long term, for the world. And for us. For me, for you. God knows what He is doing. He has a plan. He has a will. He knows what is going to happen. And He directs us where we need to be. An offspring from Eve would one day crush the head of the serpent. Even in the fall, God was pointing the way towards what Jesus would do. God knows what He is doing. He does. You can trust Him today. 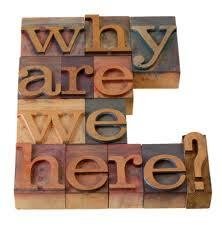 One of the questions that we are prone to ask a lot in life is this – why are we here? What is our purpose? What are we to do? Why does God have us where He has us? What is our reason and our purpose in life? This Psalm is the story of Israel and God. It tells of their unfaithfulness and God’s faithfulness. And so, the question is raised, why is God so faithful to His people when they are so unfaithful? Why does He save them when they wander away so far? What does He restore and give grace when they fall so often? This is why. He saved them for His name’s sake. He saved them, that through them, His power and His might and His glory would be made known. He saved them, in spite of their sin, because through them, He would be glorified, He would be lifted up, He would be worshiped. Why are you here? What are we here for? Why are we saved? For God. For His purpose. For His glory. For His plan. You purpose in life is not to have a job or get a house or a car or fame or status or anything like that. Your purpose is to know God. To worship and glorify Him. And to, through you, let His light shine out into the world. That’s what you were created for. That’s what I was created for. That’s what all of us were created for. That’s what we are here for. To glorify God. To live in His grace. You have been saved, you have been forgiven, you have been loved so that you can give glory to God. So that you can worship Him. So that you can point others to Him. Live in that, and find life. Live in Him and find life. Live in Him and find your purpose. We were made for Him. May we live in His life today and always. Each night before we go to bed, our family reads the bible together and prays together. Sarah has a children’s picture bible that she really enjoys reading from, so she will read it and then we take turns praying. We started in the beginning with Genesis and have just finished Esther. 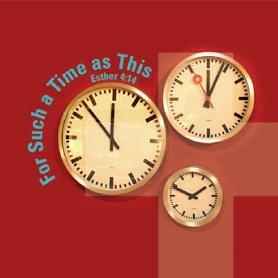 And, I’ll be honest with you, I’ve forgotten how good a story Esther is, and how appropriate it is for us as Christians today. It’s the story of a Jewish queen that is made aware of a plot to see her people destroyed. She is told that she has a chance to stop it, but she must make a decision to do so. I love that challenge. For such a time as this, she was placed where she was. It was no accident she was the queen at that moment. It was for that reason and for that purpose that God had her there. It was for such a time as that. That’s such a powerful concept it was no accident she was there. And it’s no accident that you are were you are. You are where you are, going through what you’ve went through, going what you are going through, who you are. It’s no accident. God has you here for a purpose and a reason. You are valuable and have a purpose for God and for His kingdom. Never forget. Never think otherwise. You are here for a reason. It’s no accident. Today, be faithful. No matter what the task is ahead of you. Be faithful. God is with you, He will not leave you, and you have the chance today for greatness. It’s no accident you are here. Be faithful. If you’ve been part of Asbury, or podcasted my sermons, or heard me preach any consistently at all, you’ve probably heard me a say a phrase before. I can promise you how to be miserable. I can give you the prescription for a path that will lead you to isolation, to being all by yourself, to pushing others away, to being totally miserable. The path is pretty easy to walk down. And truthfully, it’s a path each of us walks down a little each day. What is this path? 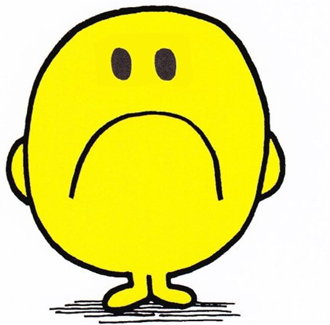 How do you we become miserable? Live only for yourself. Think only of your needs, your wants, your desires, your dreams, your goals. Think only of yourself. Live only for yourself. Focus only on yourself. Never on others. Never on God. Only on you. Do that, and I promise that you will be totally miserable. For whoever would save his life will lose it, but whoever loses his life for my sake will save it. For what does it profit a man if he gains the whole world and loses or forfeits himself? What does it do for us to gain everything, everything we can ever want or dream or desire, if we lose ourself? What good is all the “stuff” we can seek after, compared to what really matters? Relationships? God. Eternity? Faith, family, friends. This is what matters. This is what lasts. This is what is important. Not the “stuff” of this world. The “stuff” of eternity. So, it’s laid out before us this morning. We can gain everything we want, but lose what really matters. Or we can focus on what really matters, and have more life than we could ever even imagine. Today, what path will we choose to walk down? When we live only for ourselves, we wind up miserable. When we focus on what really matters, we find life. Today, which will we choose? God hears our prayers. No matter when or where we say them, He hears them. He doesn’t just hear the prayers we pray in church. He doesn’t just hear our safe, happy prayers of life being good. He doesn’t just hear the prayers of blessings for ourselves or for others. He hears the prayers of pain. Of anguish. Of hurt. Of regret. Then Jonah prayed to the Lord his God from the belly of the fish, saying, “I called out to the Lord, out of my distress, and he answered me; out of the belly of Sheol I cried, and you heard my voice. For you cast me into the deep, into the heart of the seas, and the flood surrounded me; all your waves and your billows passed over me. 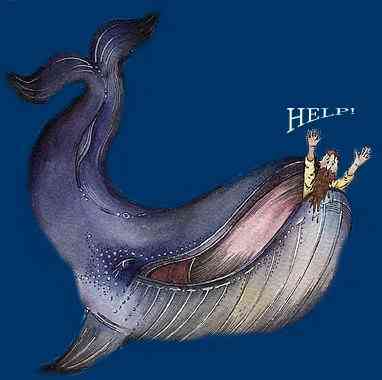 Jonah had run from God’s calling on him. God had told him to go and preach to people that he didn’t like. So, he ran. He ran away, got kicked off a boat, and swallowed by a great fish. And here in the belly of this fish, he prayed. I’ve been in some bad spots, in some tight places, prayed in some odd places but I’ve never had to pray there. Jonah did. And what happened? God heard his prayer. God heard what he said. God heard his plea. And God freed him from the belly. Today, no matter where you are, God will hear your prayers. He will. I promise you, He will. God hears every prayer that we pray. Every one. No matter how dark it may seem. No matter how dark it may be. No matter how lost the case may seem, know this. God hears your prayers. Today – you are happy – pray. If you are sad – pray. If you are hurt – pray. If you are lonely – pray. If you are angry – pray. No matter what is going on in your life today – pray. And know that God hears your prayers. And He will be there with you, and for you. No matter what. God always has purpose for His people. Now, for us as individuals, that purpose may include specific things, in relation to our lives, our families, who we are and what we do. God has specific callings and purposes for you in your life. You were made for something specific for Him. You have gifts and graces that only you have, and that only you can use. God made you for something specific. And He wants to use you for His glory and He wants you to have abundant life. For so the Lord has commanded us, saying, “‘I have made you a light for the Gentiles, that you may bring salvation to the ends of the earth. '” And when the Gentiles heard this, they began rejoicing and glorifying the word of the Lord, and as many as were appointed to eternal life believed. And the word of the Lord was spreading throughout the whole region. God was telling His people, the Jewish people, what their purpose was. They didn’t exist for themselves, but they existed to be a light. To shine God’s light for all the world to see. They existed to point others to Him. They were here, their purpose was to be a light shining to God. So are we. That’s what we are here for. Now, there are specifics within your life that I don’t know what your purpose is. You may not either. You may not have figured out work. Or family. Or school. Or living situations. Or a million different things. You may be struggling with all of these things. But I know what the purpose of your life is. The bible tells us this morning. To point others to God. To shine His light for others to see. To be that arrow, pointing to heaven. That’s what we are here for. And in doing that, when we are used for His purpose, we find our purpose. We find light and hope and peace. Today, you are made for something big. In things that you don’t know or don’t understand, trust Him. But in all things, all words, actions, everything, point to Him. 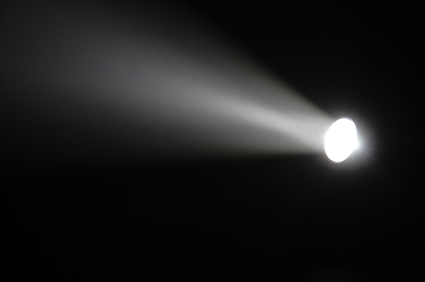 In our lives, may we be a light pointing others to God. May we show His grace to all that we see.